Attracting wild bees to your garden – Result! I put the Neudorff Insect Hotel on 26 March and today, 29 March I saw a tiny bee crawling into one of the holes! We have a welcome guest. How good is that! Little did I expect such a fast response. You can read our article about attracting Mason and other bees here. We have an Insect Hotel to give away – details on the same webpage. The sun is shining in the sky and it’s seed time! The most exciting time in my gardening year. The anticipation, the joy, the expectation. 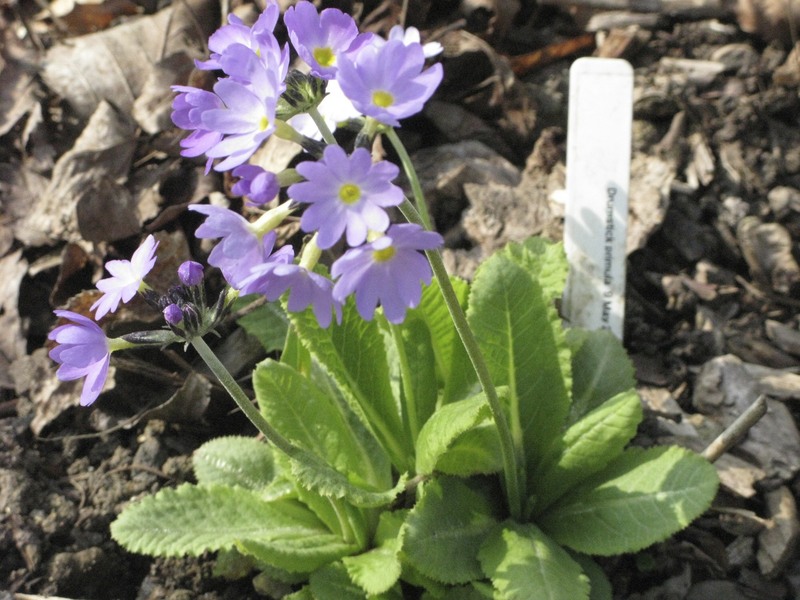 But then there is the labelling … I have so often sown the seed and not bothered to write a label thinking I won’t forget that particular tray. Wrong! I have often forgotten and some seeds haven’t received the attention they need, especially those that take more than a month to germinate. That’s all in the past. This year I have a labelling machine. A Brother P-touch GL200 and a wondrous machine it is too! A dream machine it is a computerised, battery run labeller. Lightweight and so portable I can do the labelling in the garden if I want. In fact though, I generally print out the labels before I go into the garden, much easier to prepare the labels before I get my fingers muddy. Actually I can think of a negative, the price of the replacement tape is a bit steep. But honestly the machine is so useful I can tolerate that, just. 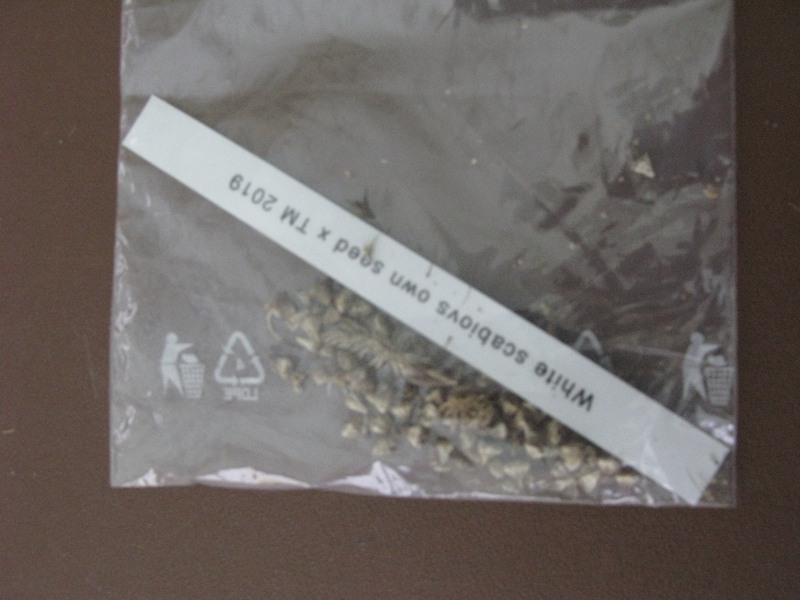 One of the uses I have put it to is to add an appropriate label inside the numerous plastic bags of seed I have collected last year. That way I know what those funny looking seeds really are this year and the label is ready to go. What joy! 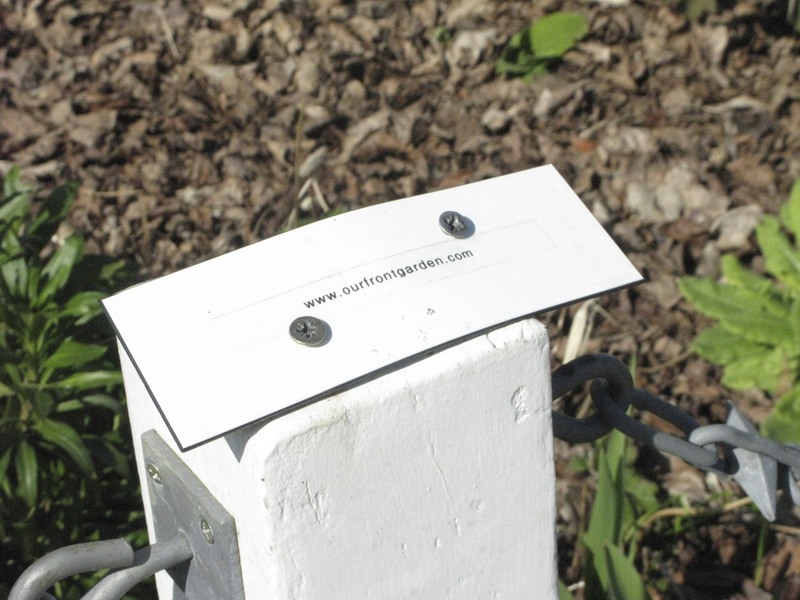 My husband uses it for labelling his filing folders and I have used it for all kinds of jobs around the house and elsewhere – even the little plaque on a fence post giving the website address for our front garden! It is one of those gadgets I really wouldn’t be without. 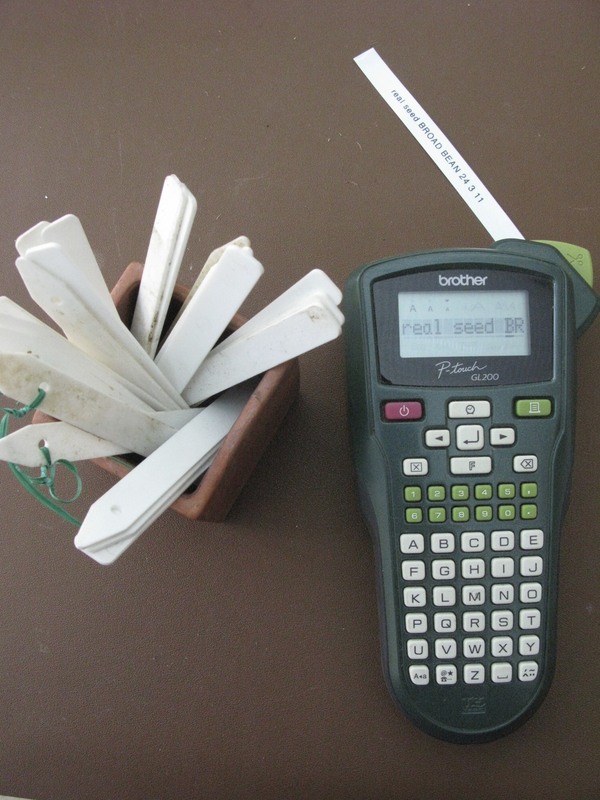 We have a Brother P-touch GL200 to GIVEAWAY to an In Balance reader. To enter the draw send an email to editorinbalance@me.com with Brother P-touch GL200 in the subject box and your full contact details in the text box. Entries to reach by latest 25 April 2011. One entry per household. I Did It! So Can you! Give Up Smoking! I was a 20-30 a day cigarette smoker from the age of 16. I shudder to think the condition of my lungs at 46 years old, 30 years later. Smoking was enjoyable, mostly. A crutch to bridge the periods of boredom, the uncomfortable pauses in social events, to cover nervousness and to take away appetite, the relaxing effect after a meal. I used it and abused my body. Not that I ever thought much about that aspect. Two things happened that brought it home to me just how unsociable smoking was to those who didn’t. One couple who socialised in their kitchen/diner would always put the extractor fan on when I lit up. I didn’t really notice because we were in the kitchen weren’t we, until someone else pointed it out and that made me so selfconscious I didn’t smoke in their house from then on. On another occasion, on the way home from babysitting I realised I had left my handbag behind. I ran back to fetch it, and found my friends had opened all the windows and doors and were spraying odour killer around. I was horrified and somewhat ashamed that they felt so strongly about the smell of smoke. So I could go for short periods without smoking when necessary which to me was almost as good as giving up. However gradually my friends stopped smoking, and I was virtually the only in our group who puffed away. I began to feel selfconscious and the disapproval was palpable so I started to go outside to smoke. All this happened years before the current smoking regulations came into force but I was determined to stop. And as Mark Twain said, it was easy, I did it lots of times! I tried herbal cigarettes, herbal tablets, hypnosis but in the end it was sheer willpower, self disgust and exasperation that finally tipped me into the smoke free habit, together with using chewing gum loaded with nicotine. I gradually managed to reduce and have now been totally smoke free for more than 15 years. In truth I would have much preferred to use a more natural product and when I heard of the new Rescue Chewing Gum I really wanted to tell everyone about, but especially anyone who is really desperate/keen to junk those cancer sticks. Chewing gum really did help me, I felt calmer. Recent research has shown that chewing gum helps to relieve nervousness, improve alertness and reduce stress. Research also shows that chewing gum for an hour in the morning seems to reduce the appetite to some extent. 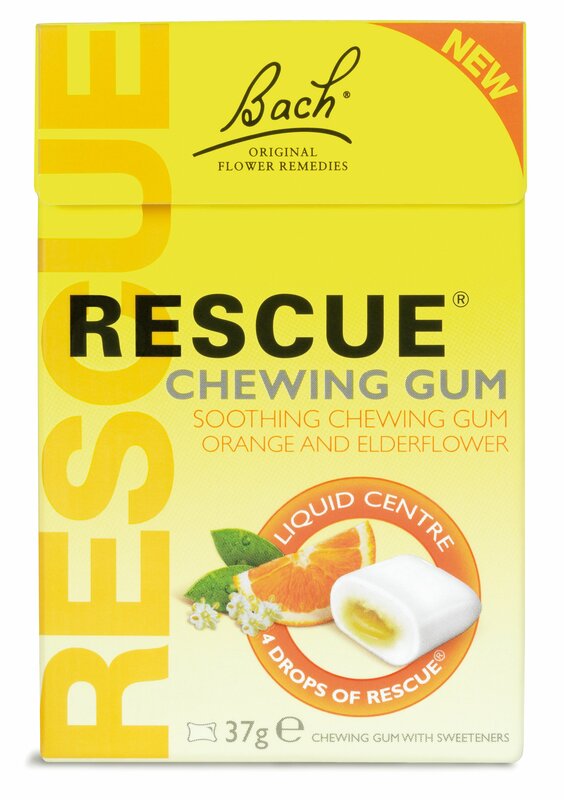 But the reason why I am so interested in the Rescue Chewing Gum is the natural ingredients used, each piece of chewing gum has a liquid Rescue centre – the famous combination of five flower essences discovered by Dr Bach almost 80 years ago. Why not buy some on your way home tonight and take the decision to stop smoking – It’s No Smoking Day tomorrow, let Rescue get you going! Acknowledging a dependence on nicotine and tobacco is a crucial first step and can be the all-important catalyst that smokers need to seek professional medical help and succeed in become smokefree. 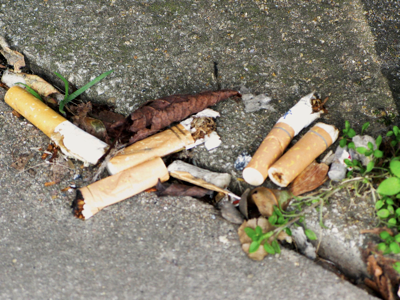 There are Stop Smoking Services provided for free by the NHS. This support has been shown to increase a smoker’s chances of stopping by up to four times, compared with going it alone. Why not join the million smokers who will use tomorrow to try to quit. It could just work. Or perhaps you know someone who is desperate to give up smoking and might benefit from some help? You could make it your Good Samaritan deed for today! and tomorrow …. why not for the next twelve days! If you help just one person to quit smoking wouldn’t that be worth the effort? Our contribution is to GIVEAWAY a month’s supply of Nelsons Rescue Gum to TEN In Balance readers. To enter the draw send an email to editorinbalance@me.com with NELSONS RESCUE GUM in the subject box and your contact details in the text area. Make sure your entry reaches us by 18 March 2011. One entry per household. The draw is restricted to readers resident in the UK. 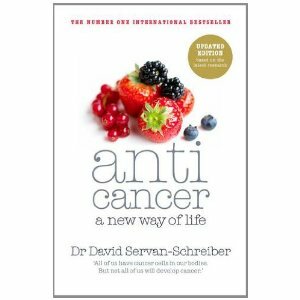 At the time of this updated edition of his book Dr David Servan-Schreiber has lived cancer free for ten years. In this book he tells what he has learned, both scientifically and personally. Dr Servan-Schreiber was diagnosed with cancer of the brain when he was working as a medical resident in Pittsburgh. Anticancer turns fear on its head – it is simply all the best, most thorough and quite amazing research on how you can build your body’s natural defences, whether you have cancer or not. 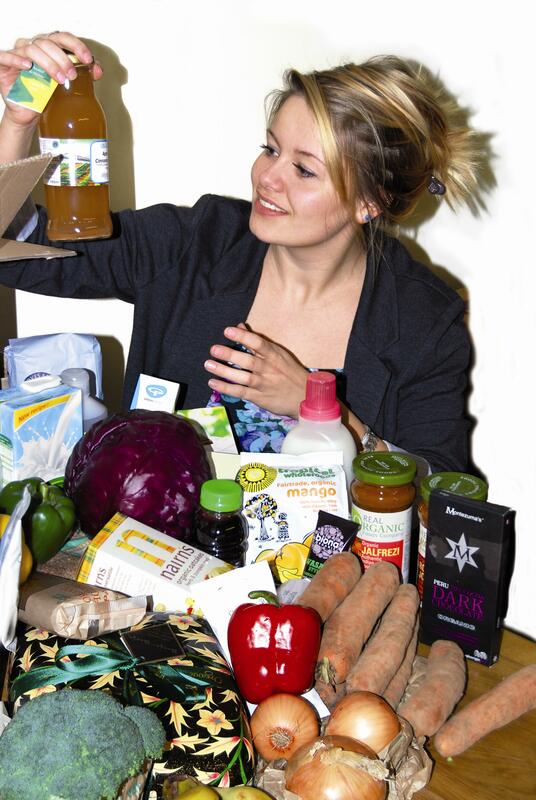 It is a myth that cancer is primarily linked to our genetic make-up – our lifestyle is the major determining factor and there is so much we can do to help boost our body’s natural capacity for protection. This truly groundbreaking, positive book has swept the world by storm, taking its place at the top of the bestseller charts. Dr Servan-Schreiber makes the most compelling and inspiring case for playing a part in your own health. When we heard a dear friend had been diagnosed with multiple melanoma we were devastated and felt helpless. Finding this book has made a huge difference to our understanding of cancer from the point of view of the sufferer and gave us more confidence to keep in touch with him. I have given my copy to him and I’m confident it is the most positive gift I can give. I’m sending a copy to another friend who is in remission and again I’m sure she will find it of huge interest and a source of hope and inspiration. I would urge anyone touched by cancer to buy this book and pass it on, or better still send a copy as a gift to those about whose health they are concerned. Penguin has provided In Balance with FIVE copies of Dr Servan-Schreiber’s book, anti cancer to giveaway to In Balance readers. To enter the draw send an email to editorinbalance@me.com with Anti Cancer in the subject box and your full contact details in the text box to reach us by 30 March 2011. One entry per household.